"I'll give you answers....not tips." Greg Moon comes to The NYC Metro/ Westchester County area, via Scottsdale Arizona, by way of Anchorage Alaska and has been a Teaching Professional for the past 25 years. He started his teaching career with John Jacobs Golf Schools, where he taught throughout the lower 48. Greg then brought his talents to some of the premier resort golf facilities in Arizona, such as SunRidge Canyon Golf Club and the Sanctuary Golf Club. From 2006-20011, Greg taught all levels of players (+ handicap/ collegians/ weekend warriors) at Chelsea Piers Golf Academy in Manhattan, and ran the largest junior golf program in the state of New York. From 2011 to 2014, he had been working with Mitchell Spearman at the Doral Arrowwood Golf Club in Purchase, NY. and was the Head Golf Professional and Lead instructor at Anchor Golf Center 2014-2017. He currently continues growing the game at Turtle Cove Golf Center and will be opening The Turtle Cove Golf Academy 2019. Greg got his first taste of the golf bug as a wee boy in Southern California; then he moved to Alaska where hockey became his thing. “It wasn’t 'cool' to play golf when I was young and there were a lot more ice rinks than golf courses." But he secretly continued to develop a love for the game. He was Medalist at his PGA Player Ability Test (PAT) and competed in numerous professional events in Alaska and Arizona. He has been guided by many of the top teaching professionals of our times and is always on the quest to continue bettering himself for the benefit of his students. Greg has worked alongside Donald Crawley, Jim Flick, Hank Haney and 2006 PGA Teacher of the Year, Bill Forrest, as well as some of the “lesser knowns” that have developed and shaped Greg’s teaching philosophy. Greg brings a vast wealth of knowledge and professionalism that he looks forward to sharing with his students. Swing it like you mean it! The goal is to diagnose the inefficiencies that create difficulty, and to develop a plan for you to have more success on the course. GMG offers private and group lessons for players of all ages and abilities. I work with each student to customize a program, unique to the individual, creating goals designed for long term success. Private and group lessons can be scheduled seven days a week and range balls are always included as part of every lesson. Video analysis and state of the art launch monitor technology can be utilized as well. Nothing better than golf with brothers. You wanna get "The Band" back together or you have a group you'd like to experience the great game of golf, we can put together a program that works for everyone. Weekend or weekday schools can be customized for your needs. From a group of 4 to a squad of 30plus, I have the facility and the staff to meet all your needs. Video analysis, Trackman and the SAM putting lab are all available to utilize for your group. Each student will also receive a personalized video lesson via email. You name the place, I can set it up. I have a full service, top of the line leisure travel agent at your service. 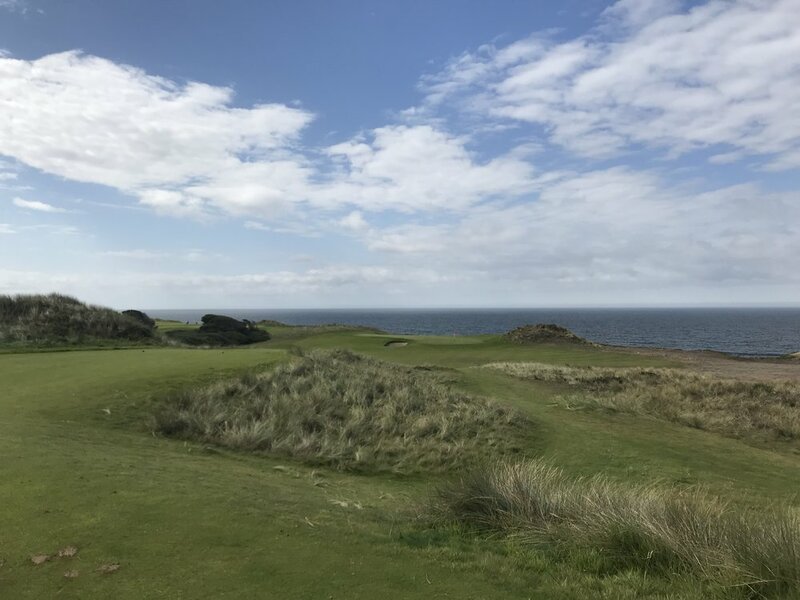 Scotland, Ireland, Australia or teeing it up in the good ole'USA, let me and my travel staff plan the perfect golf vacation for you and your group. We can get you and your clubs there, make your lodging reservation (from 5 star accommodations, to a bed and a toilet), book your tee times and get you home. You just show up and play golf. Have non-golfers in your party? We can make their stay just as memorable as yours. Whether you play golf 10 times a month, 10 times a year, or are just beginning- having golf clubs fit to your unique swing makes a huge difference. With Apex Golf Custom Fitting, we want to help make this great game easier for you to play and make you comfortable with your golf equipment. We want to build a relationship that you can lean on and trust for all your golf needs. Our philosophy is one built on tradition and simplicity backed by the best modern technology with the Trackman launch monitor.